Can someone please press the pause button for this summer? It has flown by for our family. My kiddos are only a few weeks away from the beginning of a new school year. Sigh…. Yep, we are looking for some contributors for the fall and holiday season! If you are interested, we would love for you to fill out this form HERE. We will be selecting a few folks to join our team and are excited for you to apply! Please fill out the form by Wednesday, August 6th at 11pm! 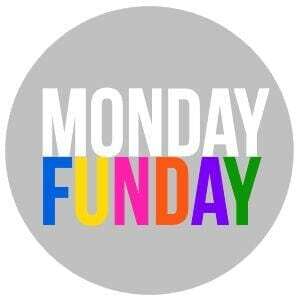 Welcome to Monday Funday ! 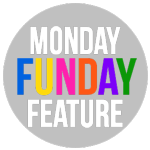 Monday Funday party is hosted each week by 8 amazing blogs! You can link up your latest craft and diy projects, even recipes to be seen on all 8 blogs. What a perfect way to discover new blogs and get new followers. 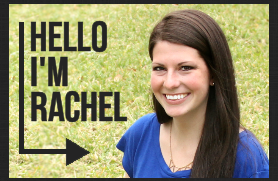 This week’s features were chosen by Rachel from Lines Across. Hi, we’re happy to have you here at Monday Funday. Here are a few highlights from the past month at Lines Across: DIY Succulent Pineapple Planter, 10 Tips for Picky Eaters, Triangle Pencil Eraser Stamps, 40 Fun & Fabulous Shoe Makeovers, 24 Free Summer iPhone Wallpapers, and a Polymer Clay Donut Necklace. It’s so difficult looking through all of the wonderful projects that are linked up each week and narrowing them down to just a handful of features! This week, I chose 12 Thirty Minute Crafts that are fun and quick projects that can be (mostly) completed in about half an hour. Love it and thank you for partying with us! Great having you! Enjoy the party! Yes, summer is flying by…literally, since I’m driving cross country! 😉 I will be in your neck of the woods later this week on our last day of driving. Thanks so much for hosting! You guys look like you have had a fabulous time! Thanks for the party ladies! Hope you’re enjoying the summer! Going by too fast! Love having you each week Karyn! Hi Trish and Bonnie! Thanks to you and the ladies for hosting the party – have a happy Monday and a fantastic week! Hope you have had a wonderful week Cindy! I love starting my week here on Uncommon! Thank you so much for featuring my twine wrapped clip holder! Have a wonderful and creative week my friends! And we love having you Carolyn! Thanks for joining us Malia! Thank you for hosting :). Have a great week. Thank you for joining the fun Alexis! Have a fabulous week! Thanks for stopping by! Thanks for hosting ladies!! Have a wonderful week! Happy to have you join us! Have a great day! The Summer is leaving all too soon for me! (yes, I am whining) Thanks for the wonderful party, ladies. I love the features.